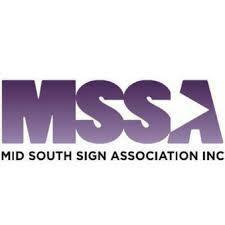 Metro New Orleans complete source for Signs, Service, & Installation. Need a sign installed or serviced? Need a location surveyed for existing and/or new signage? Our sign company can handle any aspect of your sign project, from sign surveys to service and installation! Our highly skilled technicians have years of experience installing and servicing fluorescent, neon and LED signs. Our sign company specializes in national partnerships helping businesses like yours expand into the Louisiana area. Working around local permit laws and ordinances can make getting the job done hard, but we make it easy! A beautiful, well lit channel letter sign shows off a company’s style and strength. Let our sales team and designers help you pick the right font, color and style for your channel letter sign to help your business stand above the rest. Pylon signs like this are erected on a pole or pylon independent of any building or structure. Add some dimension to your signage, literally! Dimensional lettering is an effective way to grab attention and guide customers to your location of business. We specialize in designing and repairing custom neon signs. Whether it’s broken glass, bad transformers or a malfunctioning problem, our in house technician can repair your broken neon sign. Call us today for a free inspection and estimate! Interior signs can be designed for lobbies, offices, conference rooms, etc. Alternative Signs also helps keep New Orleans’ light on with our round the clock parking lot and area lighting service. Please call us if you need your outdoor area lighting surveyed or serviced. We have been the New Orleans, LA premier sign service company for over 25 years. Alternative Signs & Graphics is a veteran-owned, state licensed electrical sign company capable of handling demanding retail and commercial signage projects in New Orleans and the entire state of Louisiana. We specialize in the manufacturing of all types of Interior and Exterior, lit, and non-lit signs. Including Channel Letters, Electric Sign Cabinets, Neon Signs, Cast Bronze & Aluminum Plaques, and Metal & Plastic Dimensional Letters. We provide installation, service, and repair of all Electric Signs, Neon, and Fluorescent Lighting, and LEDs. Professional sign surveys for local businesses or out-of-state national manufacturers. Around-the-clock parking lot and area lighting services. A talented, in-house graphics department which is always ready to meet your detailed specifications and rigorous guideline approval. A Promotional Department which can provide your business with everything from Custom Signs and Banners to Full-Color Vehicle Wrap Vinyl Graphics. We work with national and local project managers, providing installation and service as well as having signs made, surveyed and permitted. Our skilled technicians have years of experience and are closely managed to meet our valued clients’ expectations. With our main office in New Orleans, our response time is the fastest in the New Orleans Metro Area (including but not limited to; New Orleans, Metairie, Kenner, Gretna, Marrero, Harvey, Slidell, Mandeville, Covington, Hammond, Houma, Baton Rouge, and Laplace). We also offer a full line of custom-built commercial/retail awning systems (back-lit and non-lit). We have skilled welders and tradesmen on staff to create any shape or size that your business requires. 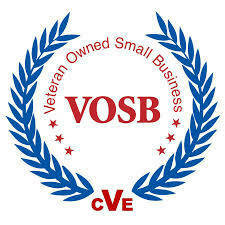 We hope that you will give us the opportunity to serve your company with quality, integrity, and affordable prices.